With thoughts of summer on my mind I found two blogs for the first time last night that I must share with you if you're feeling summer-y lately too. I know that I may get some eye rolling here because they're a bit on the country coastal style and many of you just aren't into that look but I invite you to give it a chance if it's not your thing -- you may find a few ideas here that you can translate in your own, personal way. 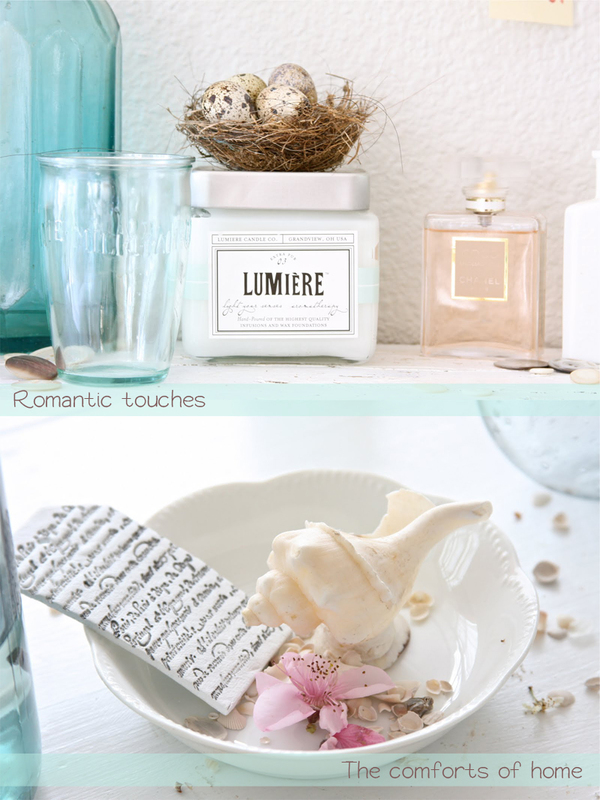 When I see this look I don't think "Shabby Chic" as much as I think "Coastal Country" or "Coastal Flea Market". The first blogger is Sarah from A Beach Cottage who relocated from London to Australia to a lovely little fixer upper cottage in Australia that's so welcoming -- I can imagine spending summers in a sweet home like this. It's a casual, relaxed look complete with boat oars, glass balls, vintage blue glass canning jars as flower vases, and slipcovered sofas that so many associate with Rachel Ashwell though they've been around much longer than the Shabby Chic brand. When I saw this living room above I was surprised to see how much it reminded me of my own (photo here) and it made me feel right at home. 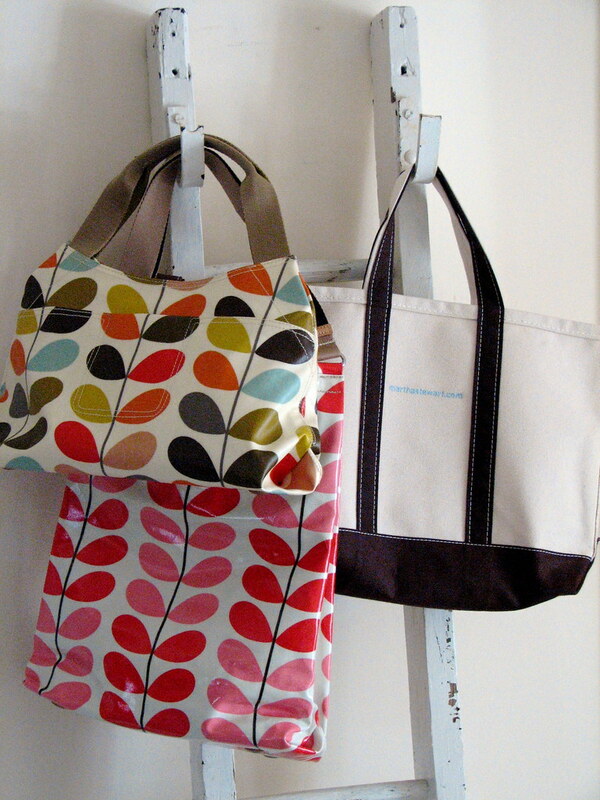 It also made me miss the vintage white ladder that I sold when I moved over here -- I once used it in my room to display/store my handbags (remember this photo that I shared back in '08 of my ladder?). The next blogger is featured below, Maria of Dreamy Whites in California, who loves blue tones and enjoys adding in some pink and yellow for an extra burst of personality. She has a pretty antique French chandelier and another from Italy that I envy and can imagine in a myriad of spaces from a cupcake cafe to a streamlined modern dining room or a child's bedroom. My local Noa Noa shop has a chandelier that I want so badly... I have to ask the owner where she found it because it's a must-have in my book. I've always wanted a chandelier in my home, but only in one room -- and it has to look a bit French thanks to my southern upbringing and all of the old homes I've been to in Charleston during my young life that made quite an impact on what I define as beautiful. 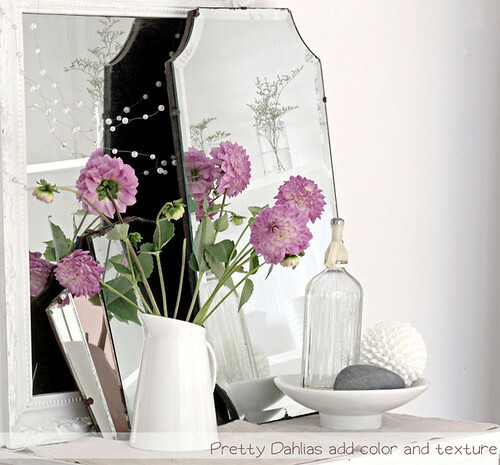 Let's look at some of the pretty things in Maria's home for a moment, shall we? I like the natural wash of sunlight against whites and blues and love the rose pink and yellow accents brought in with flowers along with driftwood, pickled wood and other natural wood accents, don't you? What appeals to me the most about this look is the unpretentious coziness. This look can be accomplished on all budgets so you can spend a ton to create it or you can build this look on a shoestring budget by recycling and upcycling things that you currently have or find at yard sales, flea markets -- even items set out on the street on trash day. In fact, when I was pretty broke, I felt like I was far more creative than I am today and this concerns me. I also remember doing lots of drive-bys on trash day in the "upper class" neighborhoods in Boston. I'd go to Newton or out to Marblehead or Swampscott to see what trash could become my treasure. 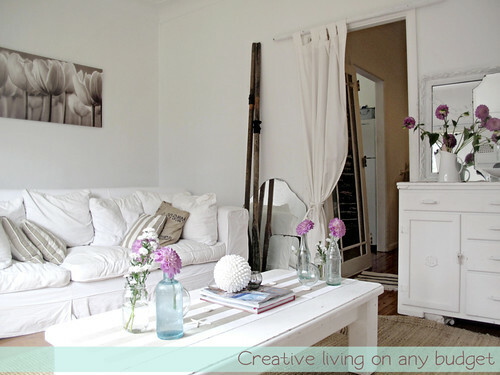 This relaxed cheap chic look can be accomplished when you are rich, poor or in the middle -- and not all decorating styles can make that claim, which is why I like this aesthetic -- it's accessible. I must note: Both woman are married and have children (Maria has 5! ), they are not single without kids as may be assumed by how clean, white and feminine their style is! Imagine that!? Could you live in a space like this? Vacation in one? Have a second home in this style? Do you currently live in a home decorated in this coastal cottage style?